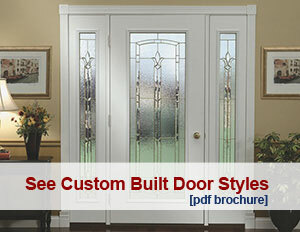 American Awning & Window provides residential and commercial clients with top of the line storm doors and windows. Whether you are upgrading, remodeling, American Awning can provide a beautiful selection of Alside windows and custom built storm doors designed to complement and accentuate your home or business property. American Awning & Window works exclusively with Alside vinyl replacement windows to give our customers state-of-the-art materials, which result in increased energy savings and reduced maintenance over the life of the product. Every Alside vinyl replacement window is created from virgin vinyl resin and is quality controlled through the use of stabilizers and impact modifiers that ensure consistent strength and color. The latest technology is used to create these insulated glass units to provide our customers with the optimum seal strength and performance. Choose from a wide variety of styles, colors, trim selections, performance packages and decorative options to create a fully custom product that will reflect the design or architectural appeal of your home or place of business. 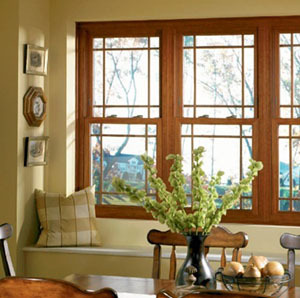 Each Alside vinyl replacement window is custom-made to guarantee a perfect fit and they are easy to install, requiring no additional wall construction or installation modifications. Customers in the Southeastern Massachusetts area are familiar with the importance of installing quality storm doors on their homes and businesses. Custom Built storm doors ensure a perfect fit and protection from the cold and stormy weather experienced in a New England winter. Speak with a customer service representative for more information on the sizes, styles and types of Custom Built storm doors available to residential and commercial clients through American Awning. Our custom doors are a great solution for hard-to-fit homes, mobile homes and commercial businesses that have unusually shaped or sized entryways. Our team of experienced designers and builders can help find a custom solution that is right for you. Call for a Free Project Estimate Today! Contact American Awning & Window to find out more information about all of the styles, brands colors and options available for our residential and commercial custom built storm doors and quality vinyl windows. Our team will help you choose the right style and design that will help you get all of the function and flair you desire! Call us today at 508-995-6333 and we will meet with you at your location to discuss all of the options available to you through American Awning & Window.